The Minneapolis Park and Recreation Board (MPRB) today announced the new leader for its Recreation Division. Tyrize Cox joins the Park Board following a national candidate search. Cox begins her duties on September 6, 2016. The Park Board’s Recreation Division provides expertise to lead, provide and create affordable recreational, cultural, educational, and leisure opportunities to benefit and enhance the lives of all Minneapolis residents. The division oversees recreation facility operations, including recreation centers, golf courses, aquatic facilities and beaches, ice arenas, cross-country skiing venues, and the Wirth Winter Recreation Area; recreation, education, and interpretive programming; use and event permitting; and athletic fields and complexes. The Recreation Division also provides support to the Recreation Committee of the Board of Commissioners. A life-long resident of Minneapolis, Cox brings leadership and community and relationship building experience to the MPRB. Since 2011, Cox worked in the Office of Family Engagement and Community Partnerships at Saint Paul Public School, most recently as director. Prior to her time with Saint Paul Public Schools, Cox also worked with Minneapolis Public Schools, Robbinsdale Area Schools and the Minneapolis YMCA. 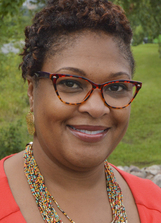 Cox is currently Vice Chair of the Minnesota Educational Equity Partnership and sits of the Board of Directors of Resource, Inc., a nonprofit which assists people with employment, recovery from chemical dependency and mental illness. This entry was posted in MPRB on August 28, 2016 by citoyen1789.